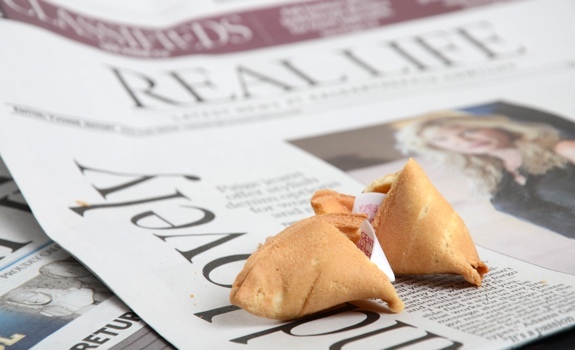 A fortune cookie and the Real Life section. 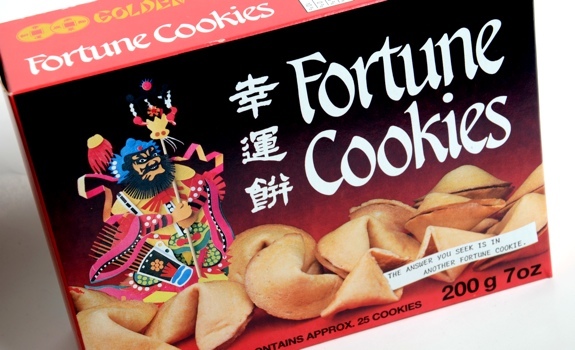 Perched atop the highest shelf of the Asian foods section of my old Edmonton Safeway was this gem of a dust-covered box of expired Golden Yuan fortune cookies. See, I’m starting a new job today, so I figured I could use some extra good fortune, guidance and words of wisdom. Cookies, do your thing. The Look: The box looks like it came straight from the 1980s. The cookies are all in one large plastic bag inside the box, and are not individually wrapped; eat them quickly or share them with friends. The Taste: Like a fortune cookie. Light, crunchy, dry, over-baked, sweet, and yeah, maybe a bit stale. It’s the fortune that counts, right? Your success in life will be due to your earnest efforts. Share your happiness with others today. Counting time is not as important as making time count. Your job needs more concentration. Success will be achieved. Go easy, be moderate and patient. 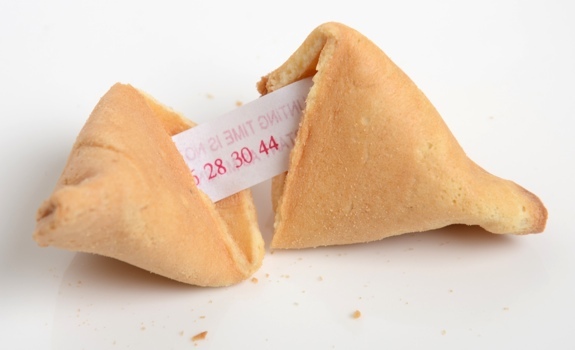 A Golden Yuan fortune cookie, cracked open to reveal the fortune inside. Cost: $3.99 for a box of approximately 25 cookies at Safeway. Value for cash money: Not bad. Good for sharing. Availability: In a neglected corner of the Asian aisle of a grocery store near you. Nutrition? : Per 4 cookies (30 grams): 120 calories, 0.4 grams of fat, 4 mg of sodium, 0 grams of fibre, 2 grams of protein. Also, 10% daily value of iron. Serving size: I love how the serving size is four cookies. Who the hell eats four fortune cookies in a sitting? A box of Golden Yuan fortune cookies. Very, very retro. Congrats on your new job! Are you still Edmonton-based or have you relocated to the deep south?